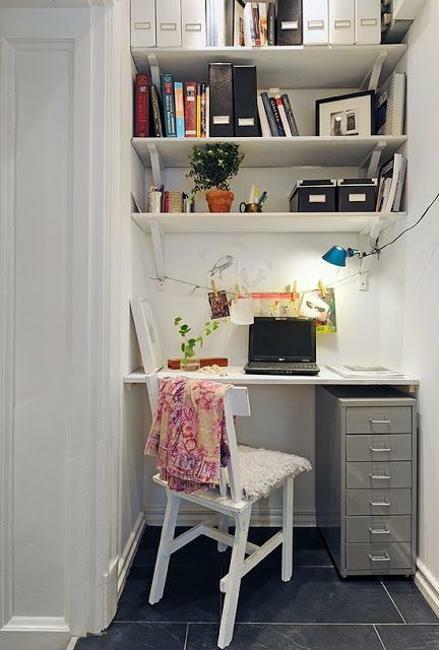 Space saving ideas for small home office storage help create comfortable and neat work stations. 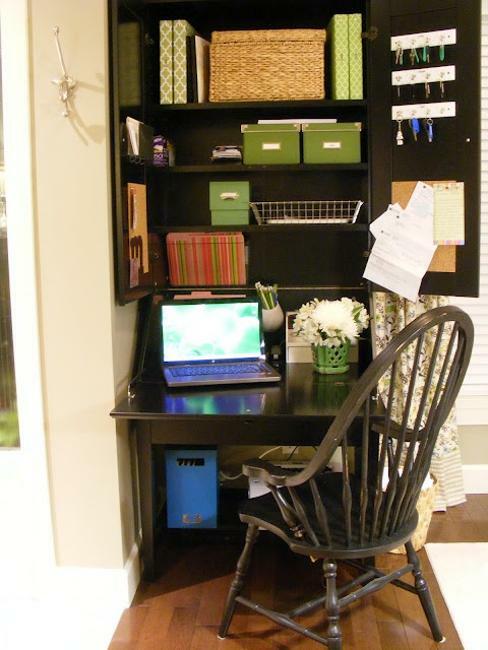 Nice home office storage make you get organized and efficient. 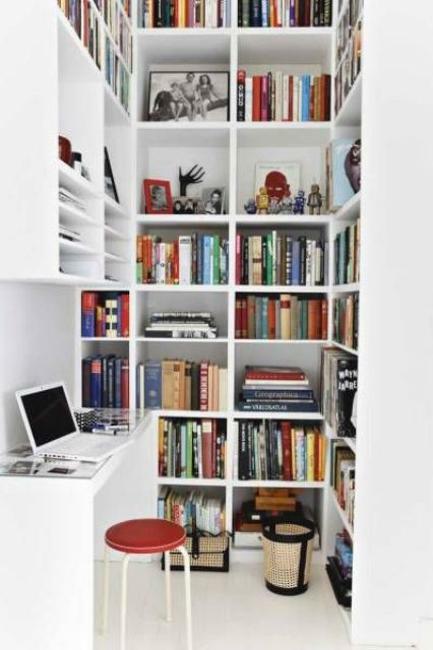 Papers need to be stored somewhere in order to keep your workspace tidy. 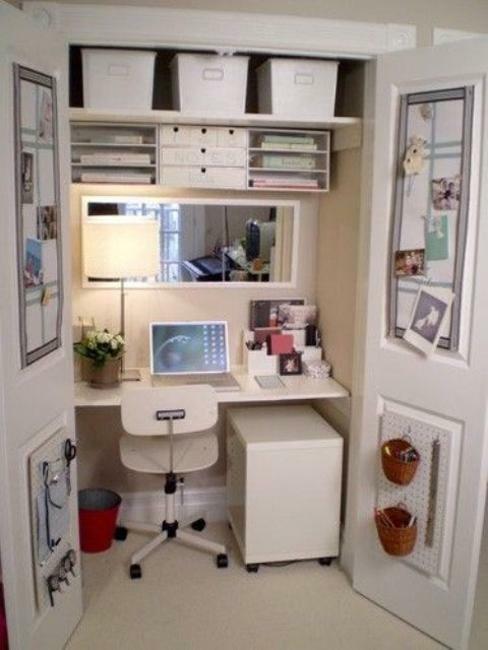 Lushome collection of small home office storage ideas may help you find the best solution for your home office design. Choosing the right office storage furniture is essential to enable you to keep things manageable. 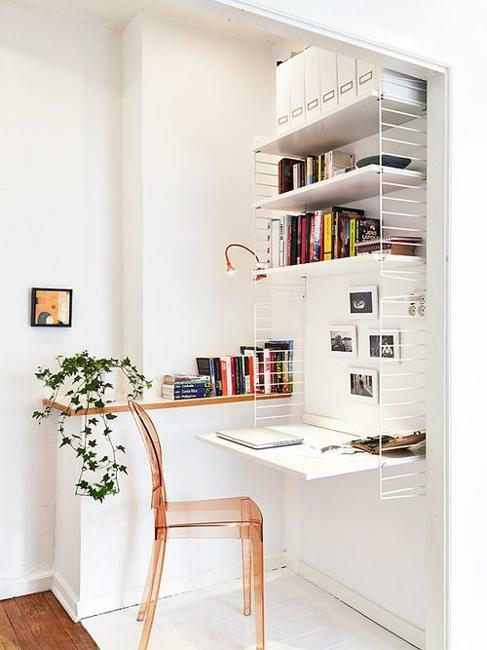 Attractive and convenient built-in shelves and simple wall shelves, cabinets and desks with storage are helpful in making your work efficient. Your home storage spaces do not have to look traditional, tired and old. 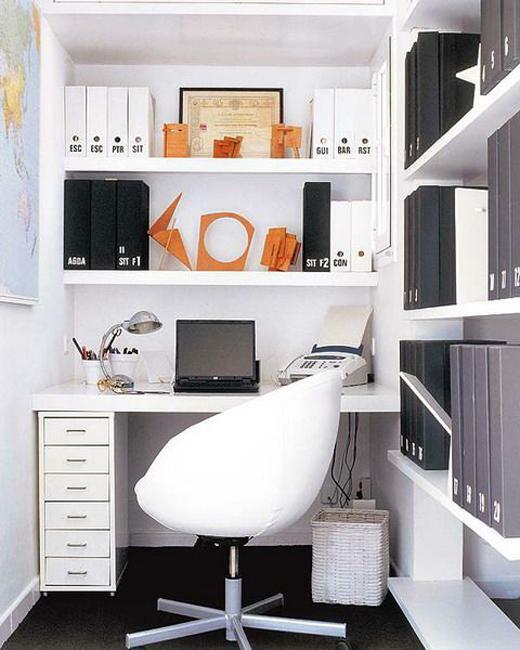 Creative storage ideas, various shapes and forms, different colors and textures bring interest int home office design. 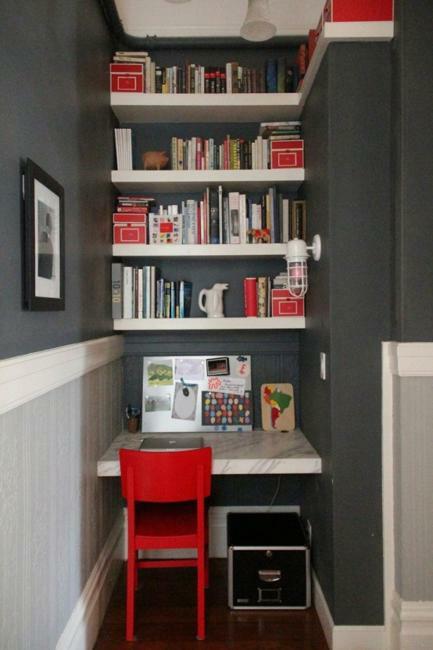 Small home office design calls for comfort. 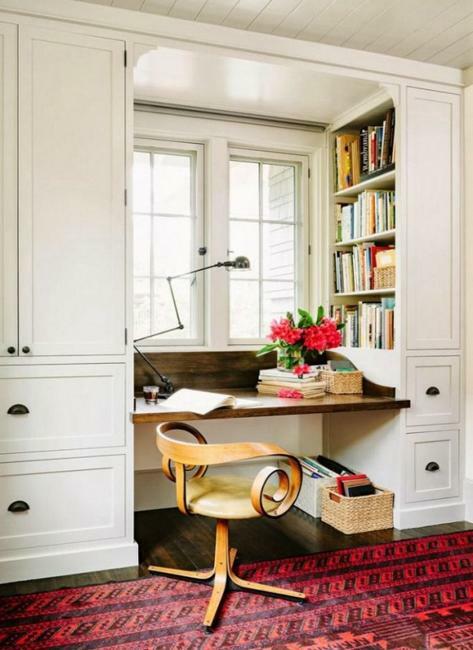 Ergonomics and environmentally friendly work space layout, clutter free environment and pleasant appearance of your desk create beautiful home office design which is sophisticated and healthy. 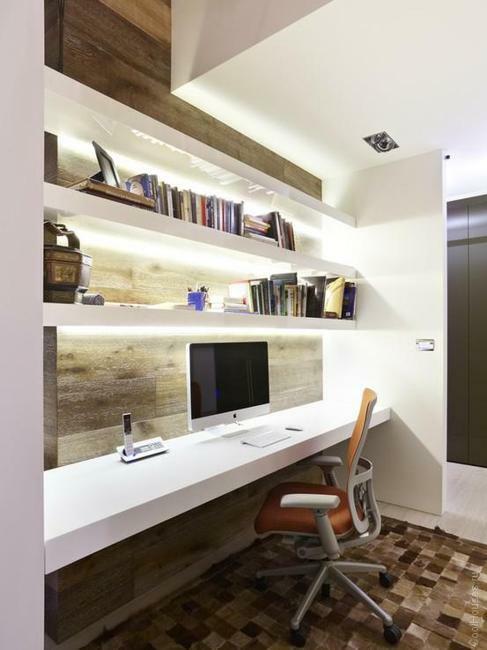 When you look at office refurbishment, consider creative and comfortable storage ideas for papers you need to keep. 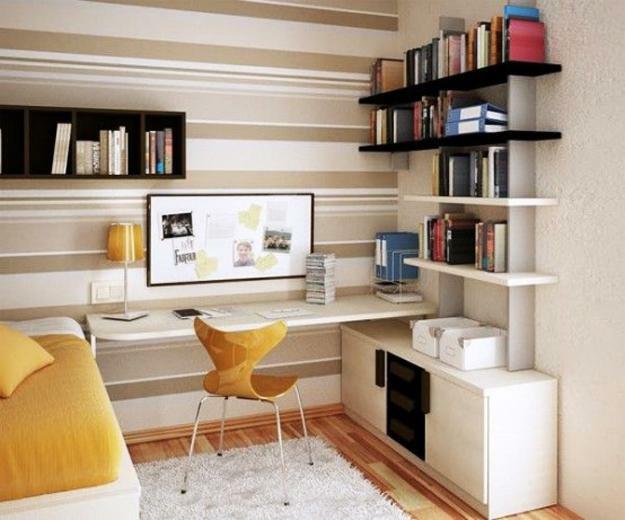 Select natural and eco friendly materials, and think of ergonomics to improve your efficiency. 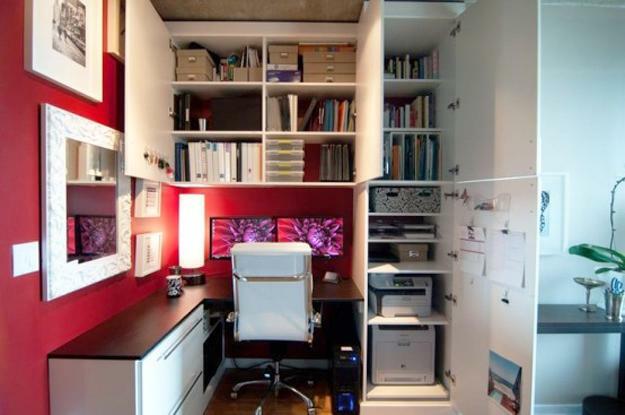 Space saving ideas and smart ergonomic layout allow to create clever office storage spaces and improve your work habits. 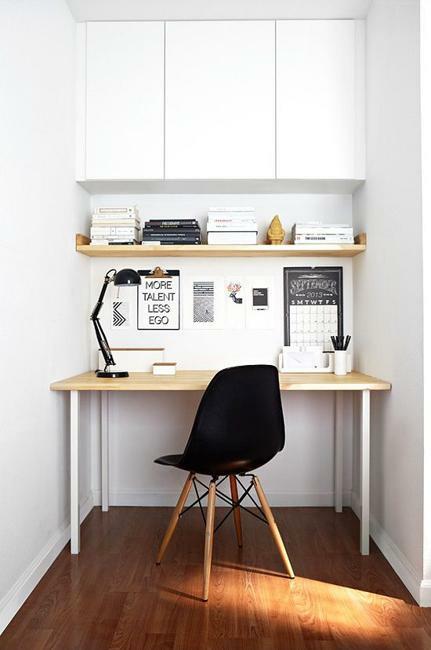 Organized small office looks good, and you can gain valuable space that improves small office appeal. 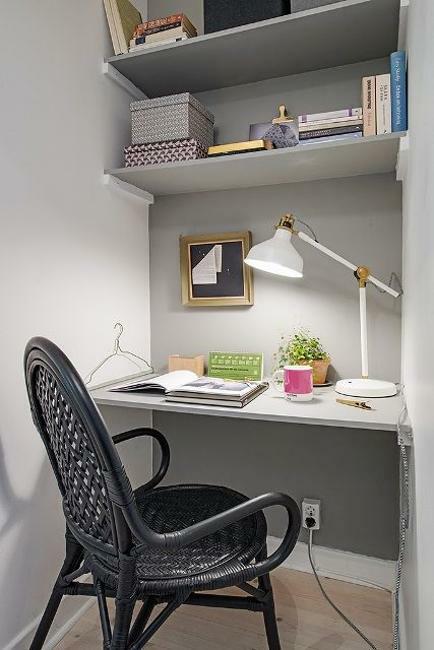 When deciding on your home office storage, it is useful to figure out what items are used on a daily basis and create easy access to these items. 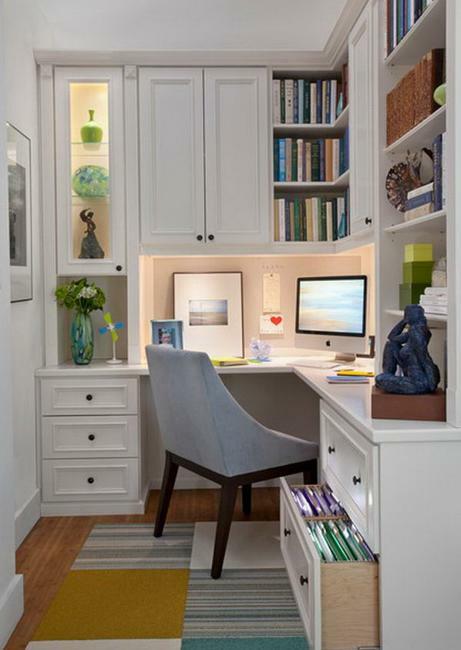 Organized, efficient workspace depends on ergonomic home office design with convenient and space saving storage. 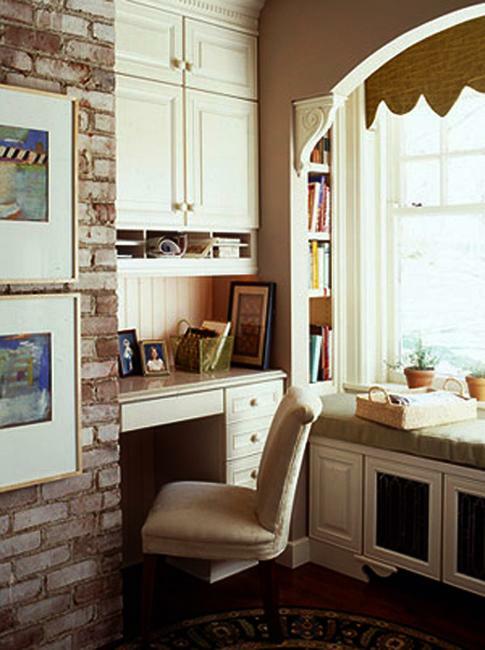 Lack of space in a small home office is a frequent problem. 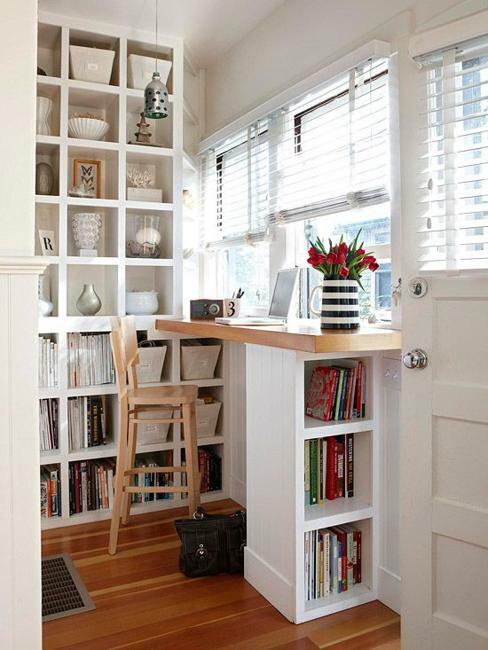 Clever office storage ideas are especially important for your tiny home office design. 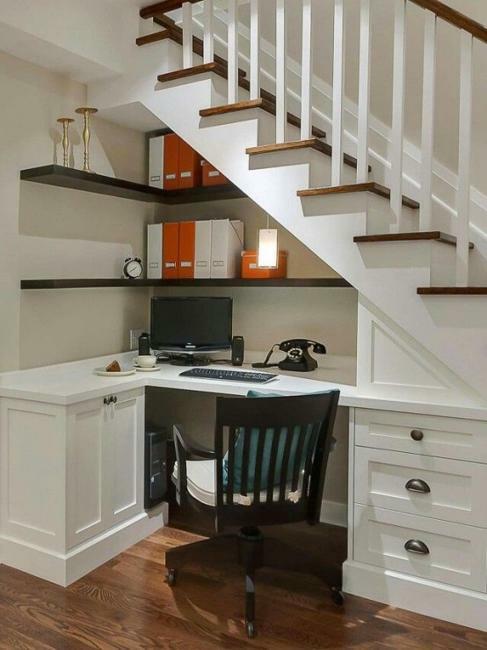 A space under the stairs, on your balcony, in the corner of your bedroom or kitchen, even a former walk-in closet is enough to design a cool home office with storage. 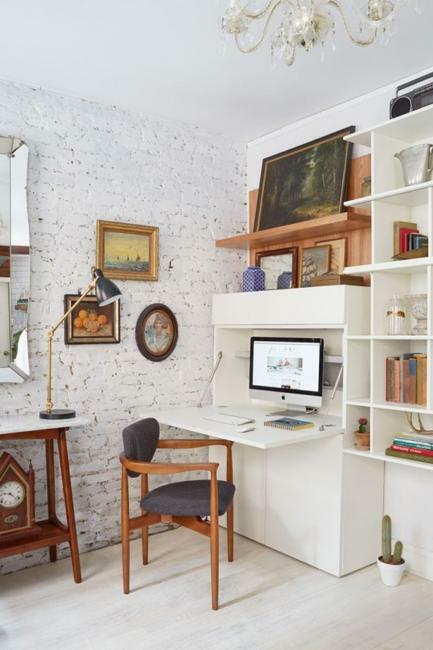 Using every inch of valuable spaces, choosing a built-in desk and shelves on the walls are good ideas for small home office design. 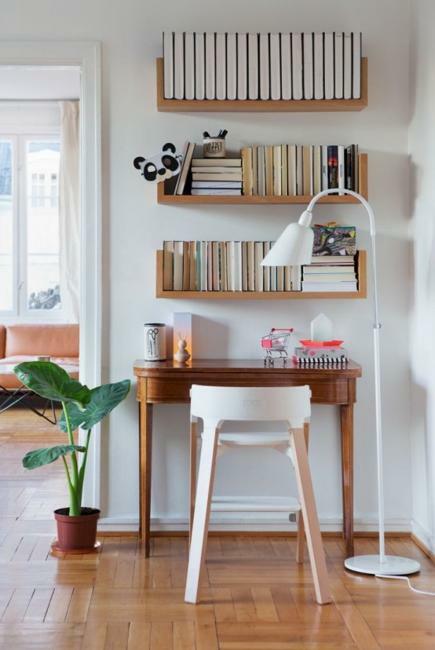 Hanging lights or a small table lamp will be a perfect space saving solution. 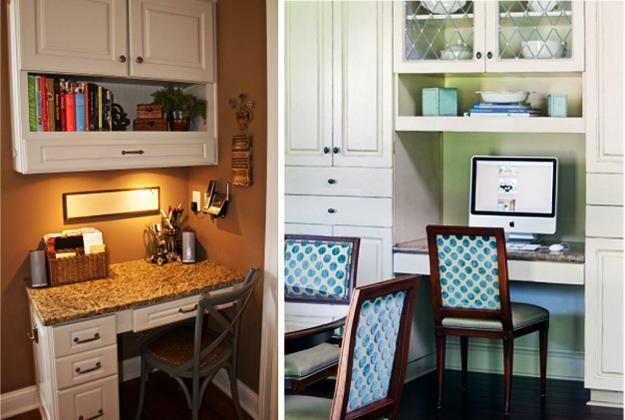 Get inspired by the collection of small home office designs and improve your office storage spaces in style.